What’s the recipe for a championship in the Desert Classic Tournament? Get a few Big Boppers on your team and slug out five or six 14-9 wins? Anthony Rodriguez, manager for the Las Vegas Warriors, who just won the 35+ American Division in the Desert Classic in Palm Springs, put his team together differently. Here’s what happened on a perfect day for baseball in Palm Springs. The Warriors banged out 14 hits – three from right fielder Kevin Bass. Bismar Alvarez, Jeff Traylor, and Jonah Ferren each added two hits. Nearly everyone contributed to the statistical bonfire including 58-year-old veteran Jimmy King whose bunt single late in the game gave the Warriors added insurance. But this win was more than numbers. Teamwork and what could only be described as grind-itude – the steady pressure of small ball, and good team attitude — produced the win. “It was a tight game until the sixth or seventh inning, and then we got a few runs and pulled away,” said Rodriguez. And then there was starting pitcher Vic Darensbourg. The ex-pro began the day with a complete game in the Warriors’ 6-1 semifinal win over the OC Sox. 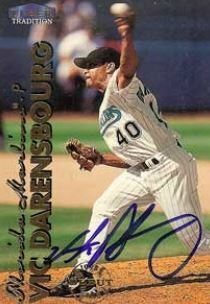 Darensbourg, who spent five seasons with the Florida Marlins, and one season each with the Rockies, Expos, White Sox, Mets and Tigers, then turned around and threw a complete-game five hitter against a powerful Black Sox squad that had risen to the top of the Desert Classic’s largest division. The 42-year-old lefty’s fastball was still cracking bats, if contact was made at all, on into the final inning. It wasn’t an easy road for the Warriors, who played six games inthree days. Attrition forced Rodriguez, who plays sparingly in most cases, into the lineup full time. “We started off with six outfielders and ended up with three,” Rodriguez said. He then rattled off six or seven more injuries that limited or sidelined players over the last few games. The team toughed it out — more so than one would expect considering the pay.